Public Speaking 101: Best Practices to Prepare Yourself Workforce Strategy: What Role Does Technology Play in Labor Longevity? Business start-ups can easily create newfound winners and unexpected losers. For every entrepreneur who reaches the cover of Forbes, there are innumerable legacy companies — indeed, entire sectors — who can suddenly find themselves disintermediated and facing tough questions from investors. So which sectors are at greatest risk for new entries to push aside existing leaders? And, from the entrepreneurs’ point of view, what are the best and worst sectors for business start-ups right now? Attractive sectors include businesses that enjoy strong demand combined with relatively low start-up costs, according to Entrepreneur, based on a report compiled by Sageworks. The best sectors for start-ups are offices that do not require heavy investments of inventory and equipment beyond a basic office set-up. However, companies which Rent Medical office space in DC, have a high initial cost but with huge potential to grow into a profitable company. It may seem surprising, but the strongest sectors for start-ups also have high barriers to entry. They require specialized training or certifications. Once a business acquires employees with these, the high barriers to entry can work to keep competition manageable. In the last 12 months, services offering accounting, bookkeeping, tax preparation, and payroll have seen their sales rise more than 17.8%. Low start-up costs? Yes, because just an office and computer equipment, along with qualified and trained employees, will do it. Legal services are also seeing strong sales, of more than 16.8%. Here, too, employees with specialized training are needed (law degrees), in addition to offices, but no sophisticated inventory is needed. The specialized training can translate into premium charges for services. Company and enterprise management firms are usually smaller privately owned bank or holding company offices that offer advice and assistance on financial, managerial, and operational decisions. Sales of these types of companies climbed more than 16.7% during 2017. This sector enjoys relatively low start-up costs yet the barriers to entry are high because of the specialized advice and often, ongoing relationships. Like law firms, they can also charge high prices for their advice. 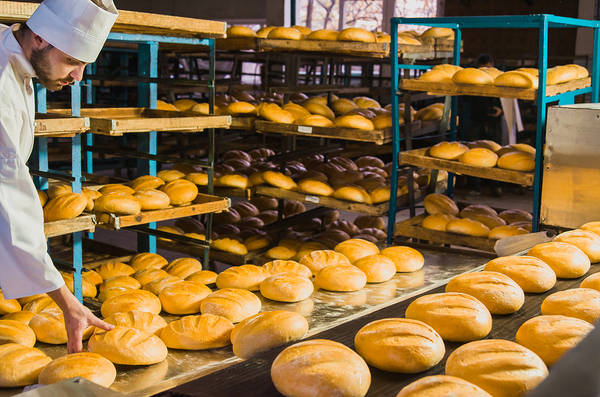 Bakeries face intense competition and high start-up costs. Not surprisingly, the worst sectors for start-ups face nearly the opposite environment of the best. Competition is stiff, and demand is either slack or falling. Start-up costs are high, with an expensive initial outlay and inventory required. While barriers to entry might also be high for the worst sectors, the companies do not have the advantages of demand found in the best sectors, so the competitive advantage winds up being close to nil. Somewhat surprisingly, given the recent spate of technology news stories about them, grocery stores are in the last place as a sector for start-ups, with sales growing just 1.69% last year. In addition to relatively low demand, the sector isn’t start-up friendly because of the entry of major competitors such as Amazon, FreshDirect, Instacart and other online services into the sector. All that means major competition for America’s grocery dollar. Plus, competitors this large and all-encompassing can keep their prices very low as a business strategy to gain market share — and they do. Sales at commercial bakeries fell 0.81% in 2017. There is tremendous competition in the bakery space, whether you look at mass-produced breads or artisanal local suppliers. The start-up costs in the sector include specialized equipment and supplies, plus overhead for buildings which are larger than the offices used by more successful sectors. While growing corn, rice, wheat, and soybeans might be important to the country’s health, you couldn’t prove that from the demand. This sector’s sales climbed just 1% in 2017 and is little changed from the levels that existed 5 years ago. Why? Well, the import and export picture might be to blame, along with the weather. In addition to stagnant demand, however, margins selling grain and seed are extremely low. The products are commodities and markets don’t bear hefty — or any — price increases. So unlike account, law, or financial advice firms, there are no premium prices to be charged.